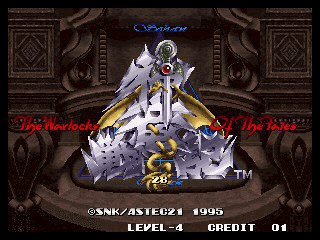 Warlock of the Fates © 1995 SNK. The model NGM-077 is a very rare prototype. It was was shown at the Tokyo Omocha Show (June 1995) but was never officially released. This game is known as "Shinryu Senki" in the Japan.